Photography fees for jobs can vary from sector to sector and from job to job. Generally, the income of photographers is coming from two parts - from commissioned work and from selling stock photography. 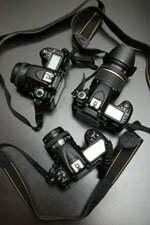 Most successful photographers will have built up a healthy stock library of their own images and these can be used to generate a steady income. Knowing the standard rates for a comparable job can be invaluable when negotiating a job and in getting paid properly for your work. As well as fees information there are also lots of useful tips about negotiating, protecting your work, what should be in your work agreement etc. This is a valuable resource which we highly recommend! In addition, it is extremely important that copyright laws are observed and if you need more information on the topic be sure to read Beyond the Lens published by the Association of Photographers (AOP).